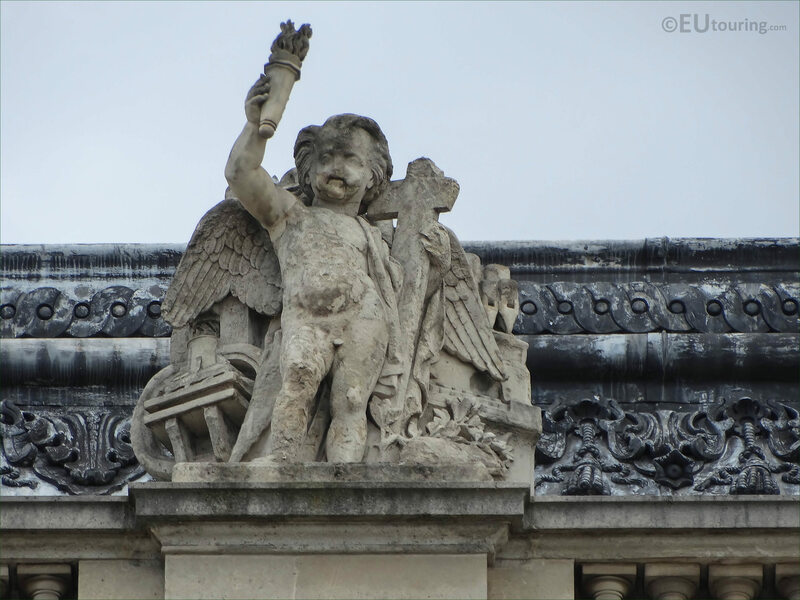 This time while we were admiring the facade of the Aile Henri IV of the Musee du Louvre, we took these high definition photos showing a statue called La Civilisation, which was sculpted by Celestin Anatole Calmels. 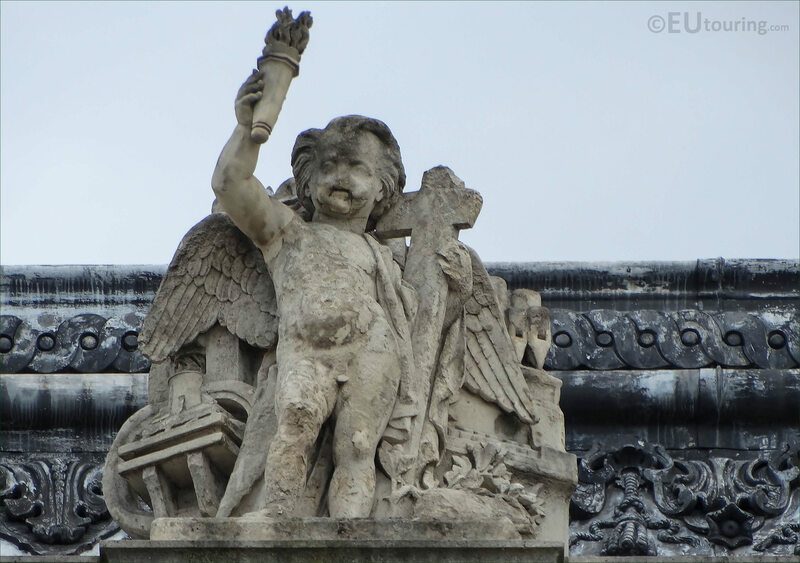 So this first HD photo shows the statue called La Civilisation, which is an allegory and rather self explanatory as to what this is meant to represent, and produced in stone for the former Palais du Louvre between the years 1855 and 1857, you can see the young child holding a torch style flame light. Now this statue of La Civilisation was produced by Celestin Anatole Calmels who was born in Paris in 1822 and entered the Ecole des Beaux Arts studying under James Pradier and Francois Bosio. He started to receive commissions for different embellishments to adorn places such as churches, along with three for the Musee du Louvre and one for the Tour Saint Jacques, which was when many of the historical buildings in Paris were being restored, yet in the 1860s he moved to Portugal, although he continued working as a sculptor, and this is the country where he passed away in 1906. 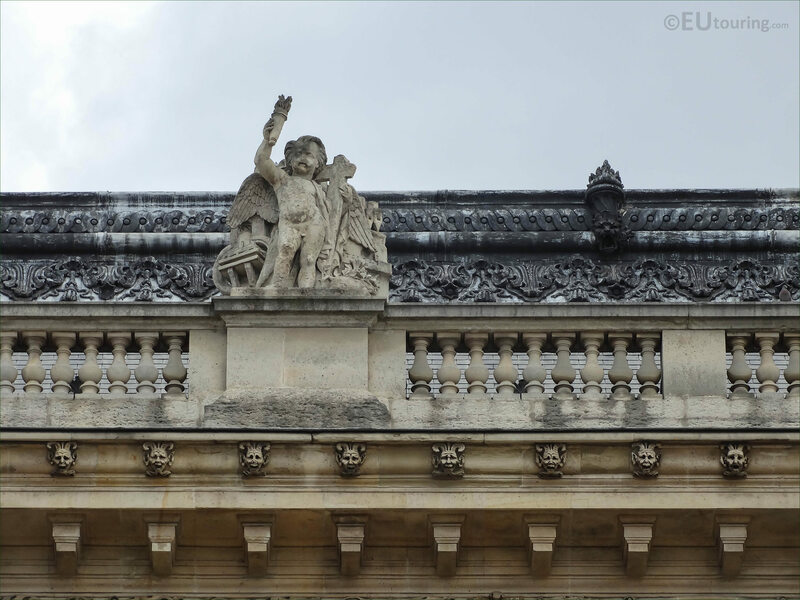 And as you are looking at the facade of the Aile Henri IV from the courtyard of the Louvre Museum called the Cour Napoleon, you will see the statue of The Civilisation on the balustrade of the top level by the roof line, which has been positioned second from the right hand side.